AKIPRESS.COM - Asia lacks a platform for dealing with common security threats but Mongolia can be a "bridge builder" that fills the void, Nikkei Asian Review quotes the country's Foreign Minister. The region has many unresolved issues, with "the last stronghold and division of the Cold War" on vivid display on the Korean Peninsula, Foreign Minister Lundeg Purevsuren told the International Conference on the Future of Asia in Tokyo. Like many other parts of the world, "terrorism, extremism and separatism pose a threat to many subregions in Asia," particularly in the aftermath of the Arab Spring, Purevsuren went on. Yet "the region lacks a mechanism or institution that would unite all countries of the continent" in pursuit of closer cooperation and integration "based on mutual trust and understanding." Recognizing nuclear proliferation as a major threat, Mongolia already hosts the Ulaanbaatar Dialogue – a forum for discussing Northeast Asian security, particularly ways to resolve the tensions on the Korean Peninsula. The Forum of Asia, proposed by Mongolian President Tsakhia Elbegdorj, would expand on such frameworks to further multilateral cooperation. This would serve two broad goals: to bring together all Asian countries to discuss common concerns and to promote security cooperation. 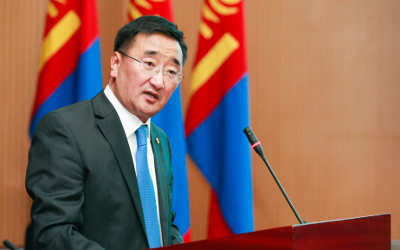 Mongolia, "located at the crossroads of three great civilizations" and committed to neutrality, is uniquely fit to bring different actors in the region together, he said.